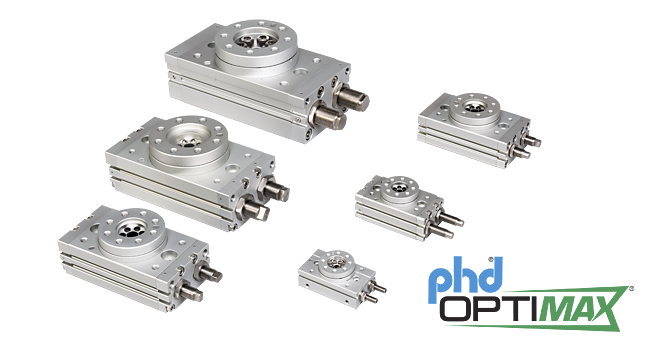 These economical, efficient, and reliable actuators provide customers with an alternative choice to PHD’s standard “built-to-order” product line, delivering even more solutions to meet industrial application needs. 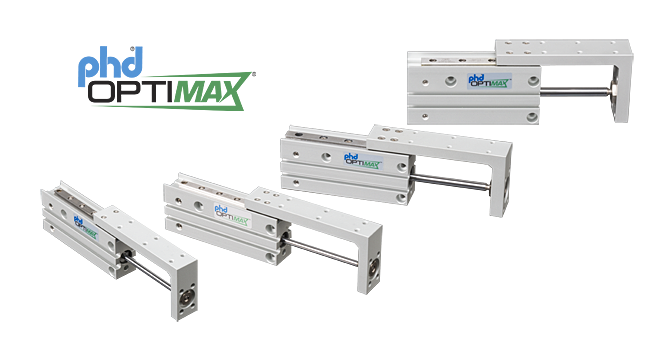 PHD Optimax® Series OSH Compact Pneumatic Slide Tables are designed for light duty applications in tight spaces. 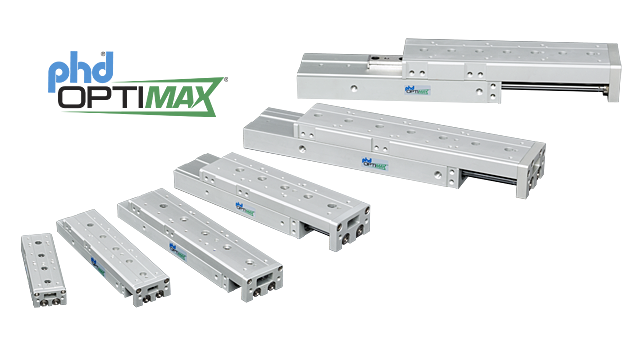 The Series OSH Slide Table is available in four bore sizes with incremental travel lengths to fit a variety of applications.